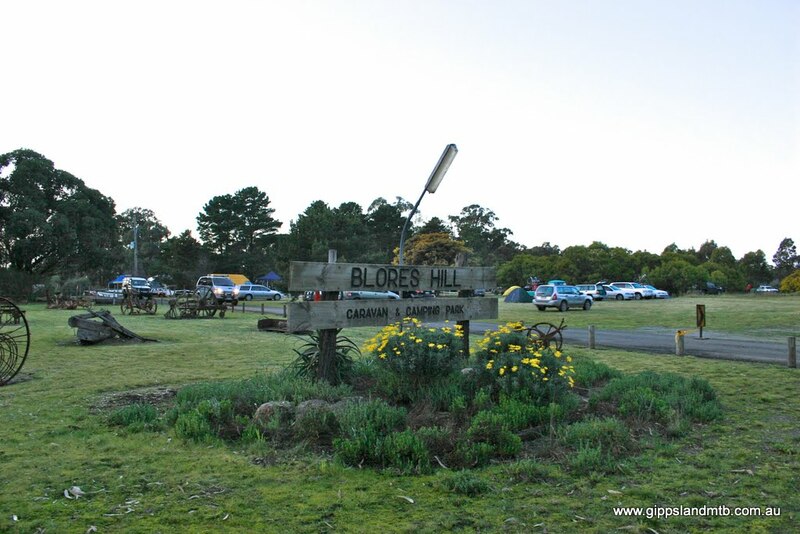 After the success of last years event, you need to do yourself a favour come and enjoy the fantastic trails at Blores Hill where it is perfect weather year round. Don't believe us, ask anyone who came last year! This year's track is in great condition and has plenty of challenging elements. 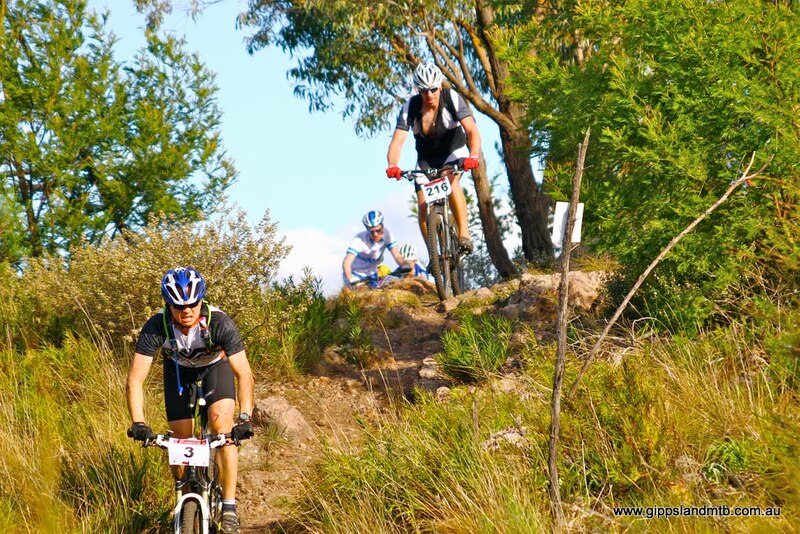 Rock gardens, log rides, flowing singletrack, buster berms, and The Trig, all through the mighty Gippsland scrub. Don't miss out! This is going to be an awesome ride and a fun event. Don't know Blores Hill? Click Here to have a look at this footage of the 2014 Blores Hill Enduro from the air. SORRY, NO ENTRIES ACCEPTED ON RACE DAY! Come along Saturday, set up your tent, and get in some practice laps of the course. All the standard amenities will be available, including convenient access to drinking water and showers. The Blores Hill track is located a short drive north of Heyfield in Victoria. About 2.5 hours east from the Melbourne CBD. Your best bet is to stay on the Princes Highway until you get to Traralgon and then follow the signs to Heyfield. Some GPSs suggests you turn off at Moe, but we'd advise against that. Once you are in Heyfield, there will be signs directing you onto Weir Road and then to the race venue (about 5 minutes from town). The race start/finish line is on the grounds of the Blores Hill Caravan Park, making it the ideal place to stay. 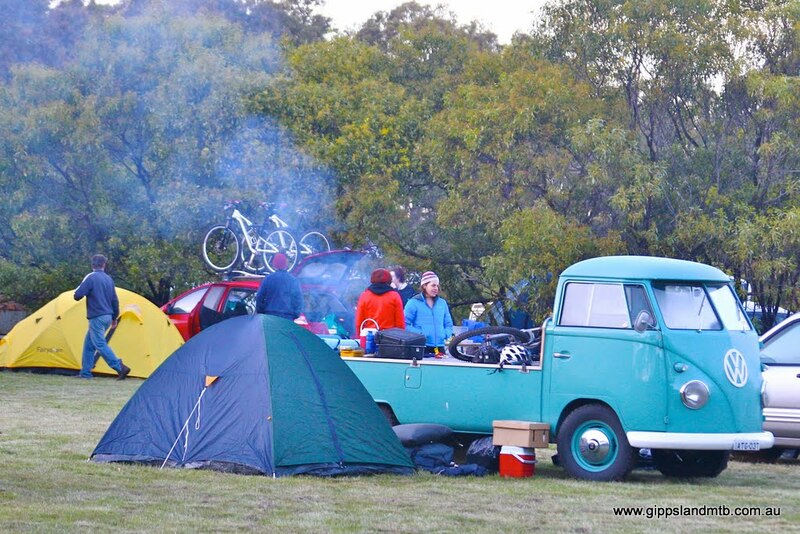 Both camping and cabins are available, call 03 5148 2495 to book. The Munjara Outdoor Centre is about two minutes ride away and has several mudbrick cabins available. 03 5148 3009 or 0428 483 009. The Wellington Shire website provides more options via it's Accommodation Search (select Location as Heyfield). Coffee will be available at the event!!! There will be regular shuttles running from the race village up to the Trig for spectating. The is the most technical part of the course and well worth a look. If you stay the night, feel free to ride the rest of Blores Hill as there is more to Blores Hill than what you've seen in the race. Do I have to ride for the full 3 or 6 hours? No, provided you complete 1 lap you will be counted as a finisher. You can withdrawn from the event at any time during the race. How does the event duration work? For both the 3 & 6 Hour events, you have until 4PM to start as many laps as you can. Once this time has passed, you will not be able to head out on another lap. Riders already on the course at that time will then have 1 hour to complete their last lap as the course closes at 5PM. Riders returning after 5PM will not have that lap counted. I'm in a team, can we all ride together? No, teams are to ride in a relay with only one rider on the course at a time. If there is an issue with the rider on the course then another rider and start their lap but the first rider is to not cross the timing point. If there are multiple riders from a team on the course then only the first riders time will be recorded in the results. I'm a junior but there's no category for me to enter/I can't enter the category that I want? Can I ride the course before the event? Yes, a map of the course can be found here. Will results be published during the race? Yes, results will be live on our website and results will be printed every 30 minutes and placed in the hall. I have entered but now cannot attend the race and wish to get a refund? However, if this is between the Wednesday before the race until registration closes we will have to retain $20 of your entry fee to cover event costs. Cancellations after registration closes will be at the race directors discretion.